Now that 2012 has come to its conclusion, I want to take a moment and look back at the past 366 days of Awesomeness before moving forward into 2013! A little over one year ago I sat talking with my friend, Deirdre—a fellow Air Force pilot and writer—as she informed me that 2012 would be her “Year of Perfection.” This, of course, was an admittedly lofty goal, but that’s Deirdre—in her mind, the Air Force motto of “Aim High,” always hit slightly below her intended target—one of the many reasons why I love her! 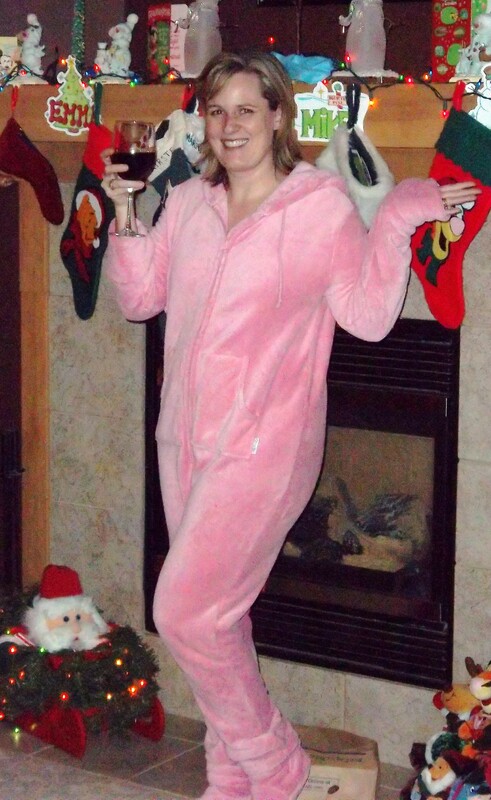 So, donned with totally awesome pink-footed pajamas and a glass of red wine, I charged into 2012 ready for action! I had a few goals in mind: set off on one new adventure each month with the family, publish my novel, run a marathon—I know, you are thinking “Kirsten thinks Deirdre sets lofty goals?” But despite these lofty goals, my main goal was just to have an awesome 2012! Of course, as with every year, many of my goals met with distraction, procrastination, setbacks, and disappointment. At that point, most people give up and chalk their lack of success up to yet another year of failed resolutions, but, because I was focused on making my year awesome, not just accomplishing a laundry list of goals, I pushed through my setbacks and kept trying to figure out how to get myself back onto a path of awesomeness. I’m happy to report that I achieved many of my goals! My biggest success was publishing my novel on December 2. Yes, that was down to the wire—you know, that procrastination thing I was talking about—but hey, I celebrate that I made it in 2012! And, of course, I fell short of meeting others—I injured myself before my marathon, so I was only able to run the half marathon. Was that disappointing? Yes, but looking back, I realize that I ran 2 half marathons in 2012, which is one more than I ran in 2011, so I am going to applaud my awesomeness that I actually raced 26.2 miles this year! Now I will focus on running all those miles in the SAME race! Lol! But hey, if there was never any room for improvement, what would keep us moving forward? In 2013, my family will focus not only talking the talk, but walking the walk. We will love others as God loves us, and give of our time, talents, and gifts—not only within our communities and to those in need, but also to each other. We will rejoice in God’s blessings within our own home, and let those blessings emanate beyond our walls in whichever way God leads us. We know there will be times of procrastination, and times when we face setbacks or become discouraged and distracted, but we will keep our focus on living as disciples of God and loving each other. Yes, I’m still going to rock those awesome pink-footed pajamas, and I still have the personal resolutions of publishing my second novel and running that darned marathon, but my success in 2013 will not be determined by how well I achieve those specific goals, but rather, on how well I live my life over the next 365 days as an expression of God’s love to others, especially those closest to me. As I stated earlier, I will never be perfect, but I will endeavor to be an extension of that perfect love expressed for me. Decide on your theme for 2013! Sometimes the most important step toward helping others, is determining how best to help yourself. Set specific goals, but then frame them within an overarching theme. Have fun with this! Pray for God’s inspiration! You can use my Year of Awesomeness if you wish! Or maybe you will have a Year of Adventure! Or perhaps, a Year of Freedom. Post your theme here! Share your theme with others! Get inspired, then go out and start living! Giving: sit down as a family and decide how you will give of your time, talents and resources this year. Perhaps you can donate an extra $5 a week in the church offering plate. Maybe you will give a bag of groceries to the food bank each month. Volunteer at a soup kitchen, or your child’s school. Sit down and map out your giving plan for 2013. Receiving: Next, start a blessing jar. Keep a large jar or container in a common location, and each time you are blessed, write that blessing down on a slip of paper and put it in the jar. At the end of 2013, read through all your slips of paper and count your blessings! It is a fun way to remember how much we receive throughout the year! I wish everyone a Happy and Blessed New Year! I cannot wait to see where this journey takes you all! You are forever awesome! It was amazing to be a part of your “Year of Awesomeness” and to look at life with new eyes! I’m excited, anticipating this next adventure! I love you my friend!